Earned media, also referred to as media relations, word-of-mouth, PR or publicity, is an unpaid brand mention or recognition such as a news article, published interview, or online review by a third party. In addition, earned media can also refer to a byline or article written by someone associated with the brand that is published by a third party. These days, social media and review curation sites are major earned media platforms. Everything from that nice tweet about your fabulous customer service to Facebook shares to poor reviews on independent review sites is part of earned media. And viral content is probably the ultimate example of earned media. Expert content allows brands are able to build reputation, credibility and trust with new customers, while reinforcing current customer relationships. Since credibility and trust are established, earned media also inspires customer action. Earned media is incredibly cost effective because it requires your time, not a large budget. Social signals such as likes and shares send positive juice to search engines and organic search results can be positively impacted. Since you don’t own the content, you can’t control the message—which can include negative press, reviews, and comments about your brand. Cultivating quality relationships with your customers and media outlets who cover your business is time consuming and doesn’t happen right away. Newsrooms are slimmer on editorial staff than ever and earning placements is also more difficult. The cost to pay a media relations firm for earned media in major publications does not bring a guarantee. 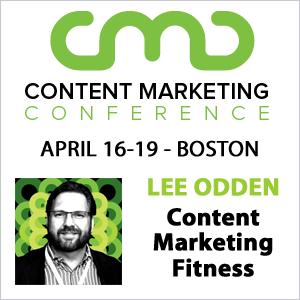 TopRank Marketing CEO Lee Odden has established himself and the agency as thought leaders and innovators in content marketing. As a result, his expertise is often sought after for interviews, contributed articles and webinars. As an example, last year Lee participated in an interview with Content Standard by Skyword. During the 2015 Super Bowl, Budweiser aired its “Brewed the Hard Way” advertisement that challenged the craft brewing industry a bit. The LA Times wrote an article titled “How the ‘Proud to be macro’ Budweiser Super Bowl ad got it all right.” Not only did the article make the beer company look great, but the LA Times is also a very trustworthy source. This is also a perfect example of earned media working with owned and paid media. 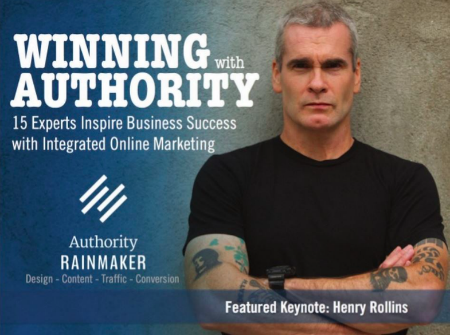 In early 2015, Copyblogger Media—a well-known content marketing software and training organization—was preparing for its second annual Authority Rainmaker conference. With the conference still in its early years, Copyblogger partnered with TopRank Marketing to create an eBook that would leverage event speakers to raise awareness and attract registrations for the event. Promotion of the eBook included several earned media guest posts to industry blogs such as Kapost, SlideShare, and Simply Measured. Combining earned media with other content marketing tactics, the eBook had a total of 26,859 views, more than 1,000 shares, and 139 downloads. A total of 19 referrals were logged as assisted conversions, with an additional 4 direct conversions. Create awesome, share-worthy content. Remember, content is king. Create quality, engaging content that serves a useful purpose. If you can address a paint point, provide valuable insights, or educate your audience, they’ll share. Build and nurture relationships. Reach out to publishers, editors, journalists, influencers, and any other relevant third-party. These are the people who can cover your business when a new product launches, as well as special events, industry news and so on. Be prepared to work on someone else’s deadline. Journalists and editors are always working on hard deadlines. Be prepared to speed up or delay your own efforts to fit with their needs. Earned media should be just one part of your content marketing strategy. Think about how your owned and paid media efforts can result in some earned media. For example, Coca-Cola’s “Share a Coke” campaign that launched last summer was a huge multi-faceted campaign—that got a whole lot of people sharing photos of their Cokes on social media platforms. Share positive press and reviews. If people are saying awesome things about your brand, show people. Add customer reviews to your website and share on your social media pages. The following resources can help you connect with media organizations and journalists, craft quality content ideas, and track the publicity you’re getting on social media. The reality is that earned media is really just a part of doing business. Every brand will earn some type of publicity simply for being. But, marketers have an opportunity to grow the amount and the quality of earned media they receive by making it a part of their overall content marketing strategy. Cultivating earned media is certainly not without its challenges, but it definitely needs to be a consideration since consumers are looking to that content for guidance before they buy. How does your brand use earned media within its content marketing strategy? What are some of your best practices? Please share in the comments section below. If you liked this post, check out our content marketing tactics index page with links to more than 25 helpful posts just like this one! For my company, international earned media is what really gets us noticed. Due to the fact that a lot of countries starve for American technology and expertise, we have been able to leverage (yes, I just used the word “leverage”) this into guest articles on these sites that cover the tech we offer, but in an educational, not salesy tone. It has helped drive more traffic to our site and increased our leads and conversions, the holy grail of our efforts! I was even published on Ethiopia’s main news outlet! Sorry this isn’t a new tactic per se, just wanted to share for those in international marketing.